I am writing this quick post (as I have to do my freelance writing gig, ASAP!) to have a break on the airport series coz I’m about to do another one on arriving at NAIA Terminal 2 (which will make this blog a Philippine Airports promotion page). 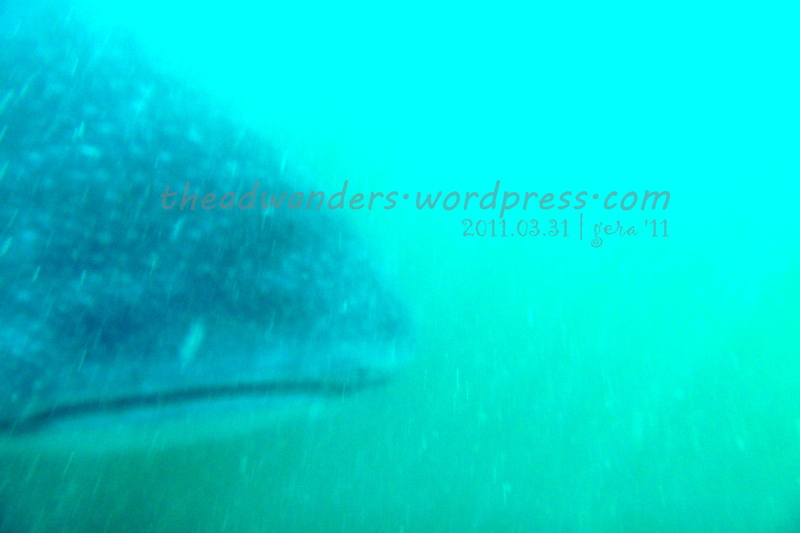 So this one now is on my 2-hour bonding with the Butandings (local name for Whale Shark) of Donsol, Sorsogon during my solo trip to explore Bicol and the rest of Region V in March 29 to April 2 (more on this next time, ok?!). The Butanding says Hello! (sorry for the bad pic or light or whatever. but imagine how close I was to actually accidentally (since I can't see what's in the display screen) get this one. well, at this distance, CRAZY CLOSE I dare say!